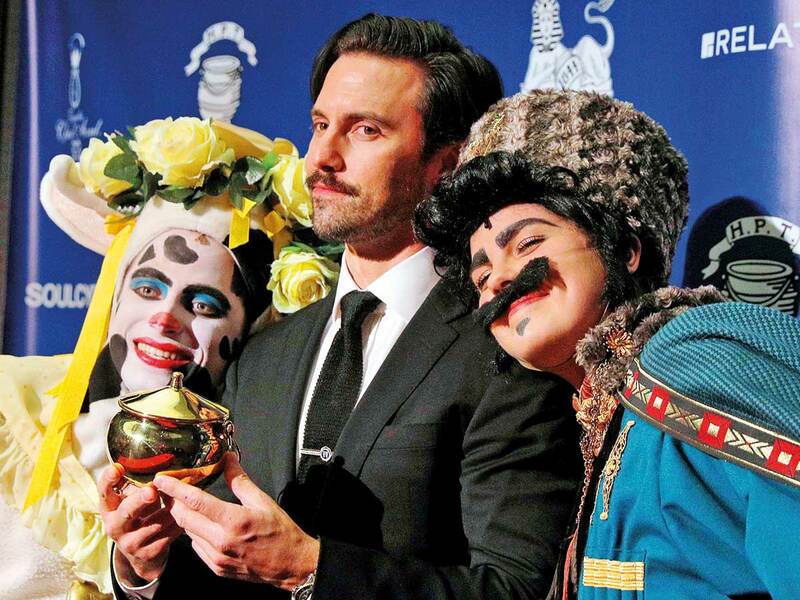 ‘This Is Us’ actor Milo Ventimiglia was Friday as Man of the Year by Harvard University’s Hasty Pudding Theatricals at Farkas Hall in Cambridge. Before being able to hold the pudding pot, Ventimiglia had to endure a little extra embarrassment: the Pudding had Ventimiglia sing Fergie smash ‘Big Girls Don’t Cry’, (Ventimiglia starred in the music video) and gave a lap dance to one of its members. Ventimiglia took the teasing in good fun, emphasising how proud he was to receive the title. After the roast, the Hasty Pudding had the opening night for ‘France France Revolution’, the troupe’s first production to feature women in the cast. Medina and Mann produced the play. Ventimiglia said he was honoured to be part of the historic event. He stars as the patriarch Jack Pearson in family drama ‘This is Us’ and has had leading roles in ‘Gilmour Girls’ and ‘Heroes’. Ventimiglia said he understands why ‘This is Us’ resonates with many Americans, even in a particularly charged political climate. Hasty Pudding has honoured a Man of the Year since 1967, and previous winners include Clint Eastwood, Tom Hanks and Christopher Walken. Paul Rudd was honoured last year.